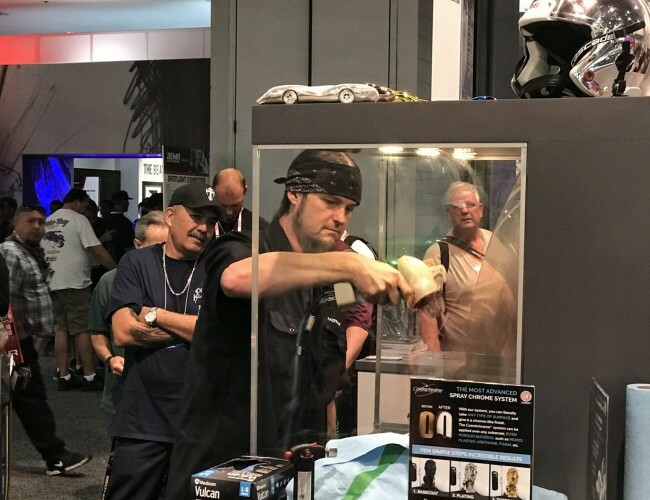 •Includes The Patented e-Gun Select™! •Choose a Chemical Package to go along with your system. •Add an optional second Select Gun to spray very large objects and entire cars. 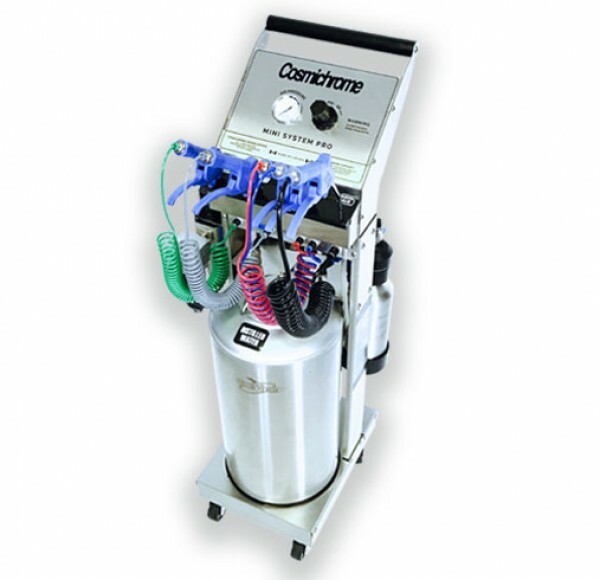 Your spray chrome machine must apply a precisely balanced application of the spray chrome chemicals. 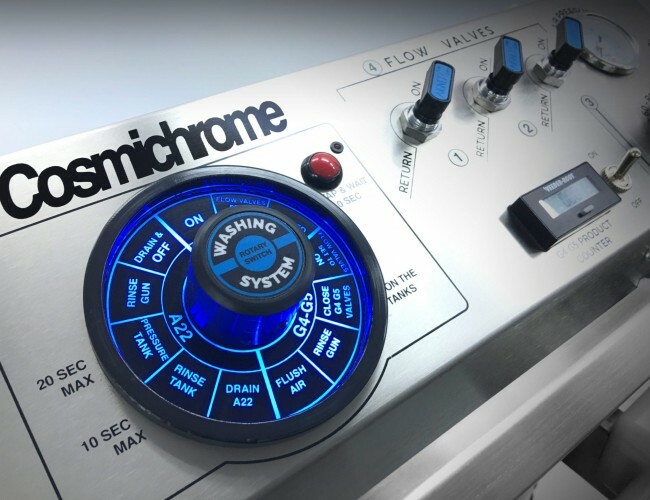 This is absolutely critical to the successful coating of the Cosmichrome spray chrome metal layer. 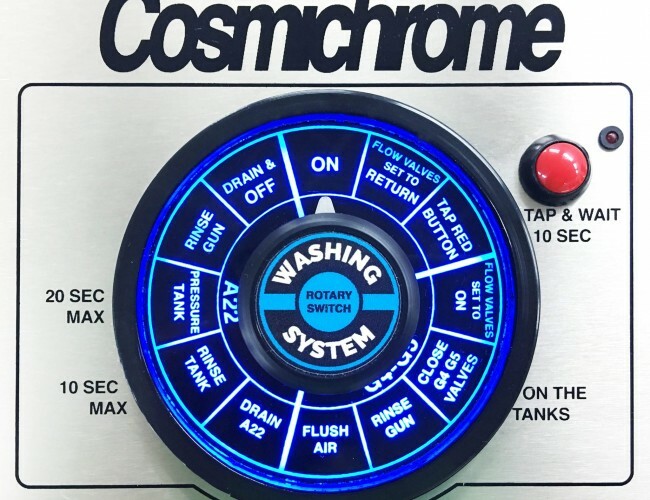 The Cosmichrome e-Gun Select™ on our Master System PRO features our state of the art engineering. 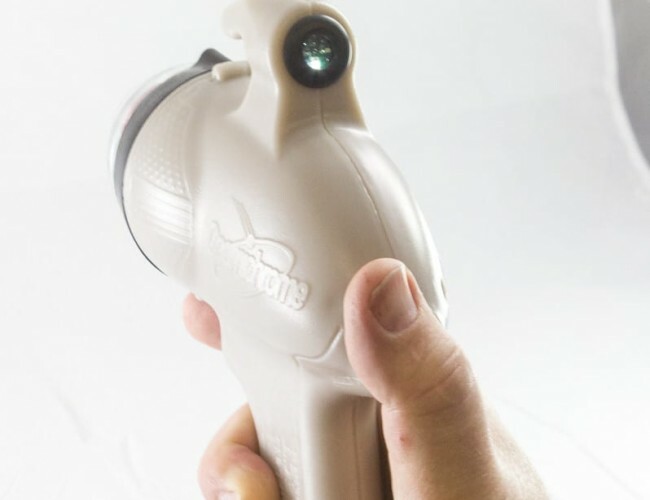 The e-Gun Select operates electronically. 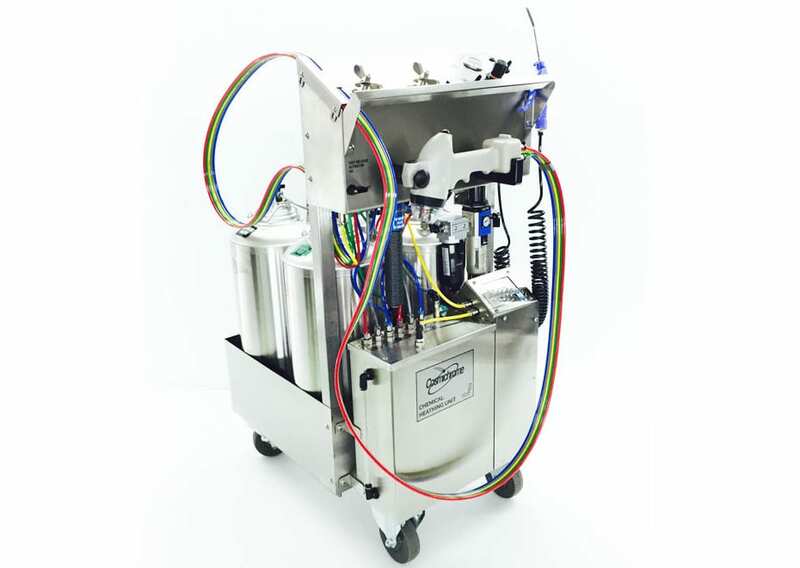 It provides simultaneous and instantaneous balanced spraying of the plating solutions. This precision along with an airless and perfect spray pattern provide Cosmichrome applicators a perfect chrome finish. Old fashioned, manually operated guns with dual needle valves can’t match the precision of the patented Select Gun. Old technology guns do not provide a reliable, precise and balanced spray of the solutions. Imbalanced spray causes stains, streaks and blotchy plating. Our competitors use these old fashioned guns because they are readily available from the adhesive and mirror making industries but they make for inferior plating guns. They require frequent calibration and one never knows if the needle valves actually open the same amount or even at the same time. The e-Gun Select™ eliminates all these problems. 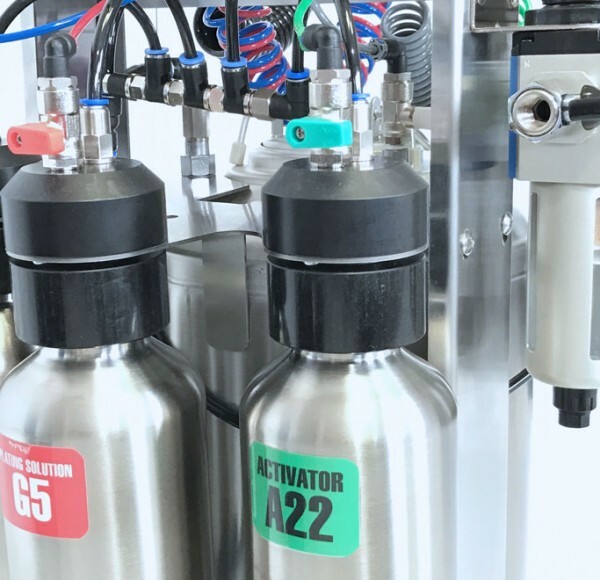 Additionally our Master System Select Pro also has built in cleaning systems to thoroughly clean out your gun at the end of the day and returns unused chemicals in the lines back to the pressure vessels for use the next day. Maintenance takes only a few few minutes and you don’t have to remove the tanks and clean them every day. The cleaning system takes care of that for you! 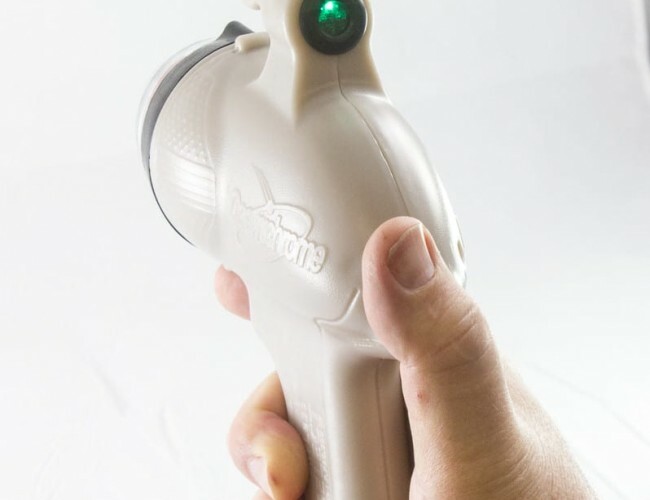 The e-Gun Select is reliable, precise, easy to use, lightweight and produces the finest chrome finish possible. Why Buy The Patented Master System PRO™? 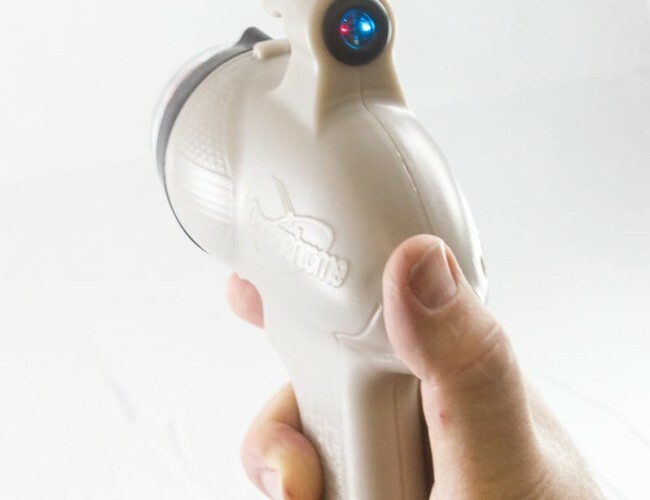 The e-Gun Select is easy to use and makes learning the process relatively simple. Just press the trigger to spray. Press the select button to take the gun through each step in the plating process. A set of colored LED lights on the gun indicate to the user which process is being applied. 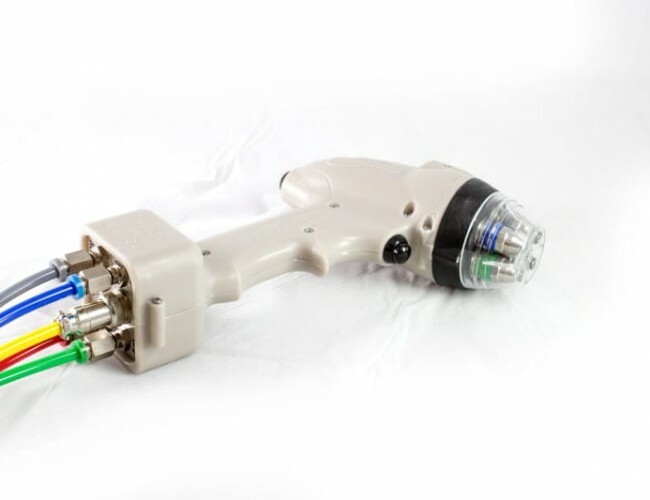 The e-Gun Select is also lighter weight yet made of a tough plastic resin that is chemical proof. It is durable but easy on the arm. The Master system comes with one e-Gun Select and an optional second e-Gun Select for twice the plating capacity on large parts. Most people will find the single gun system adequate. A second gun can easily be added later if needed. 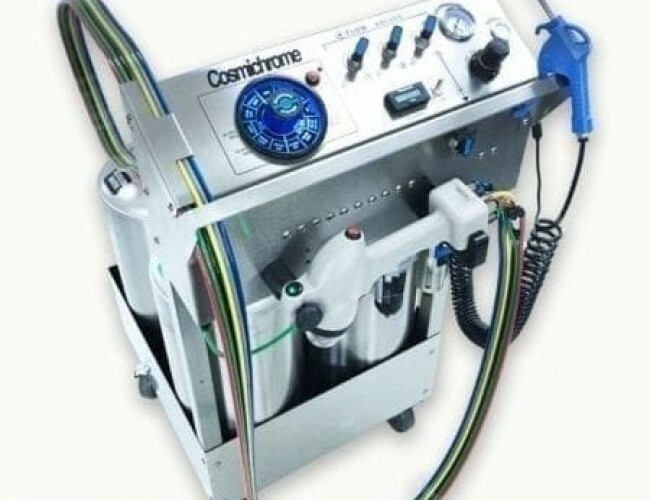 Heats the Cosmichrome chemicals to proper operating temperature within minutes. 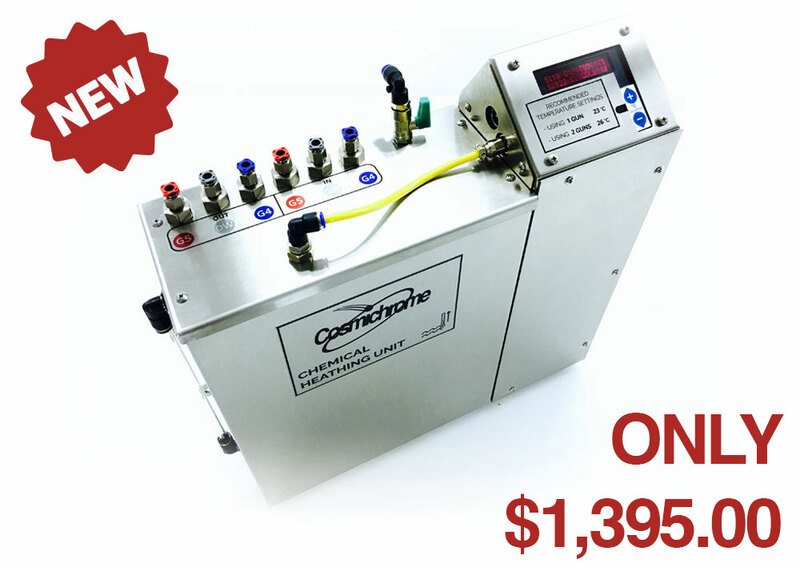 Saves money by reducing chemical consumption and improving the product finish. 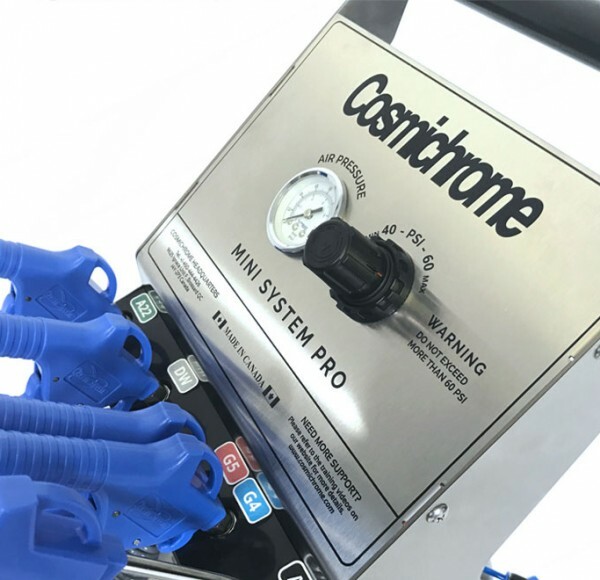 The Mini System PRO is a small compact system designed especially for those with the need to coat only smaller parts. It provides beautiful plating but on a limited scale. 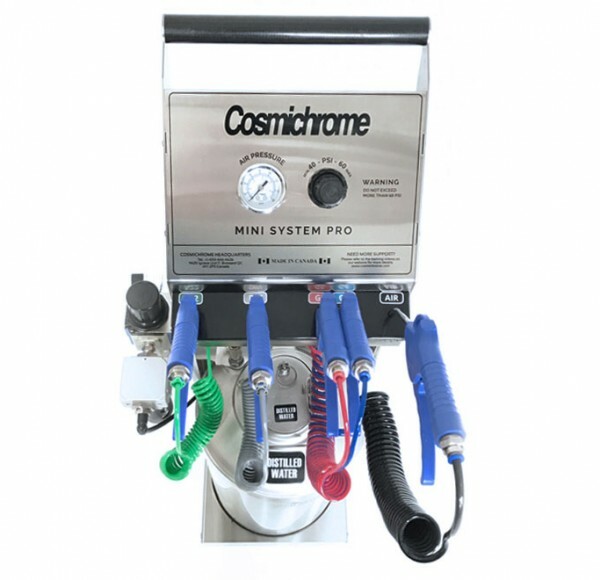 The Mini System Pro allows you to coat parts up to the size of a hubcap or helmet for example. 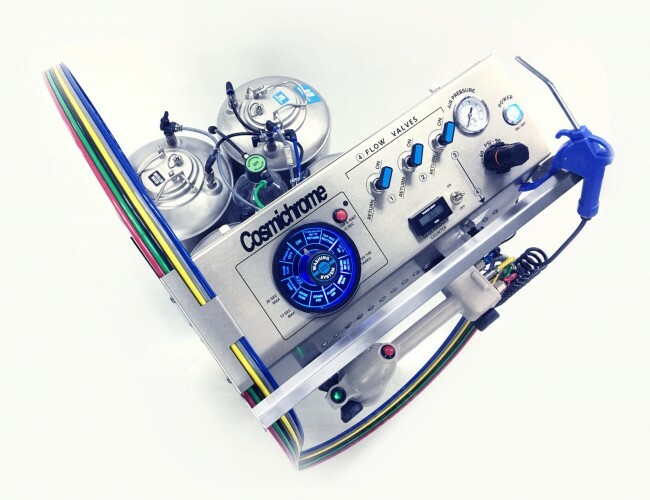 The Mini System Pro is popular in rapid prototyping or 3D printing shops. Make you model look like a finished part without the delay of sending out for chrome plating or vacuum plating. Apply the chrome finish right in your own paint booth. Why Buy the Mini System PRO? from Cosmichrome/Gold Touch Inc. on Vimeo.